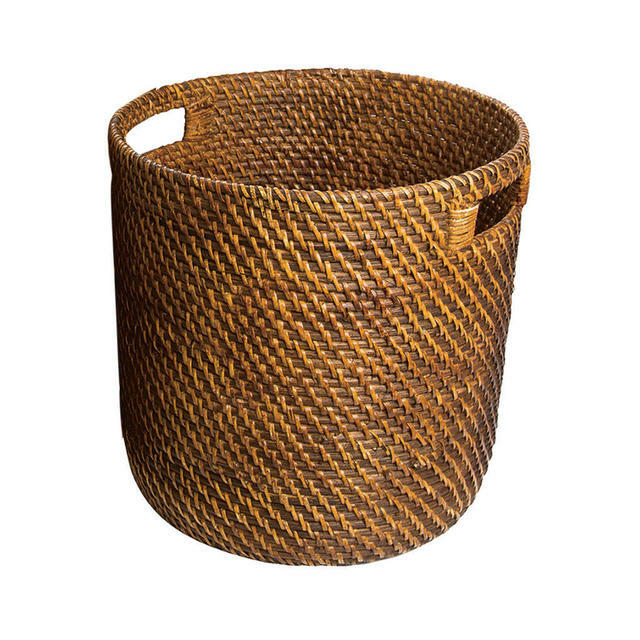 Perfect for holding houseplants, blankets, throws or even logs. 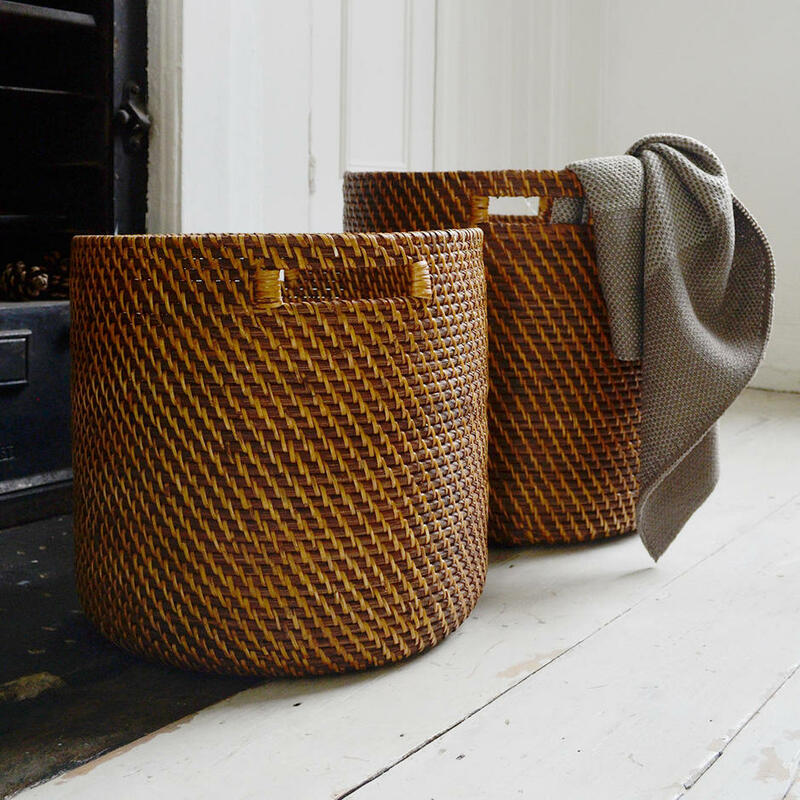 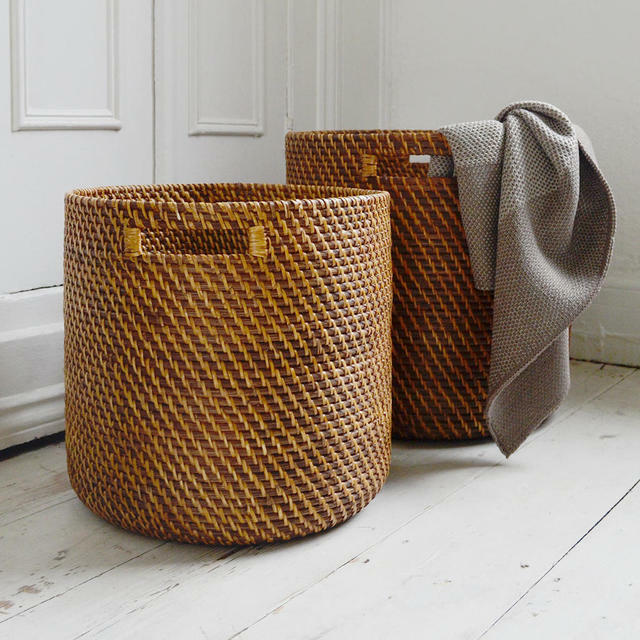 With a herringbone style weave these woven baskets are elegant enough to hold a large houseplant and sturdy enough to hold logs. 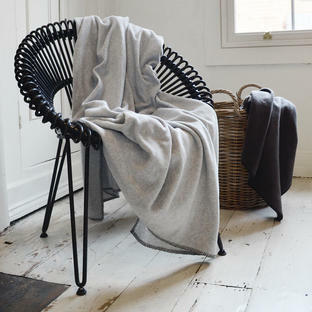 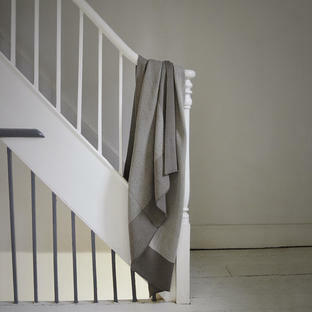 Or a perfect storage holder for cosy fleeces and throws ready for informal alfresco parties. 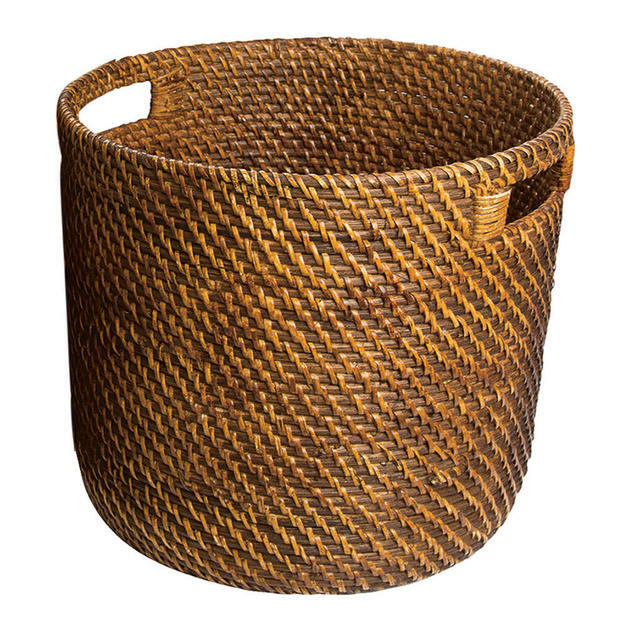 If using to hold a house plant, please note a large saucer or plastic liner will need to be used as there is no liner inside the baskets. 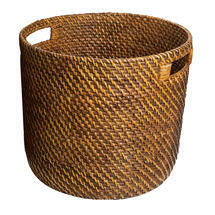 Large basket 44 x 40cm. 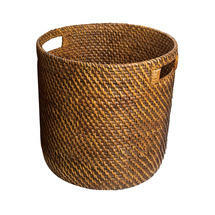 Small Basket 36 x 35cm.